Due to the delays crossing the Caspian Sea we thought we might have to miss out Bukhara in order to arrive in Kyrgyzstan in time for our helicopter transfers into the Tien Shan. 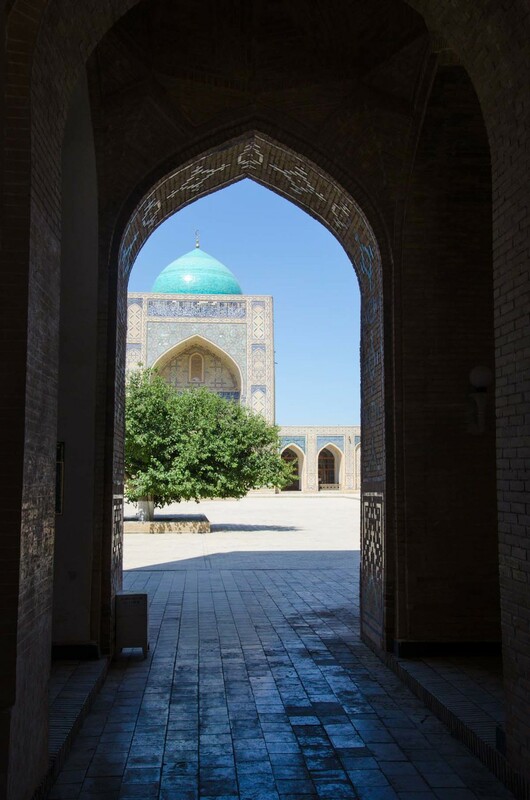 Thankfully with a couple of long days driving and some luck in getting visa extensions quicker than normal we managed a day in the amazing Silk Road city of Bukhara before moving on to Tajikistan. Chor Minor - only the gatehouse to huge Medressa that now sadly no longer exists. 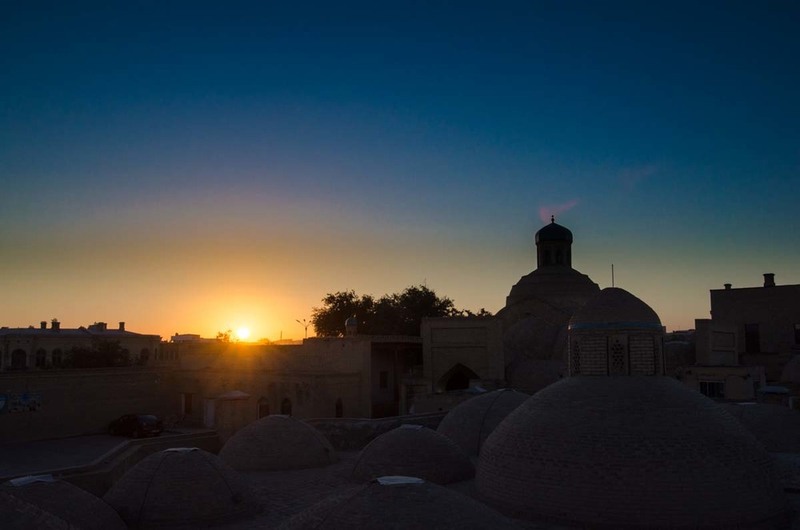 We made it to the location of the front page on the Lonely Planet for Central Asia! 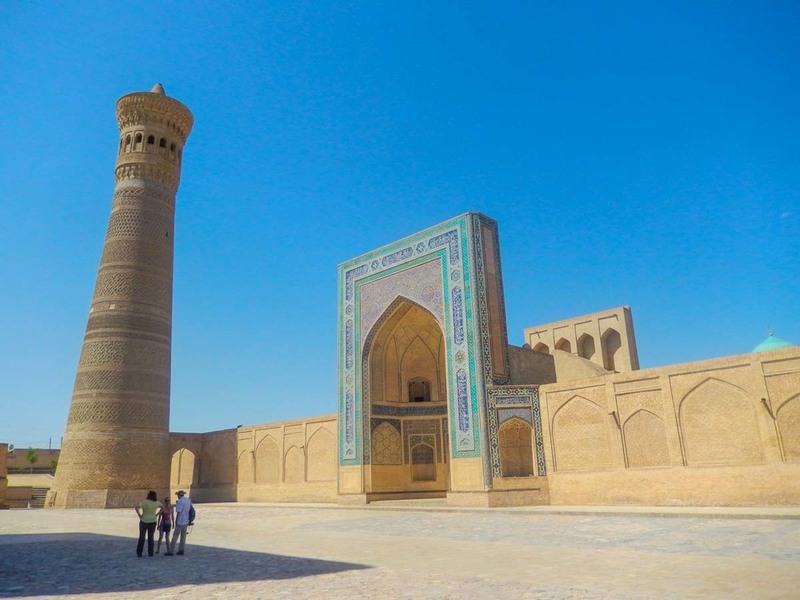 The 47m high minaret that Genghis Khan ordered to be spared from destruction during the sacking of Bukhara, as he was so impressed by the engineering! The huge minaret and entrance to a Mosque. View through the entrance into the Mosque. Uzbek women hard at work making a traditional carpet. View from the rooftop terrace at the restaurant Minzifa in Bukhara. A very common sight in Central Asia…we are currently working on a separate blog post dedicated to transporting large items on the roof of a Lada! 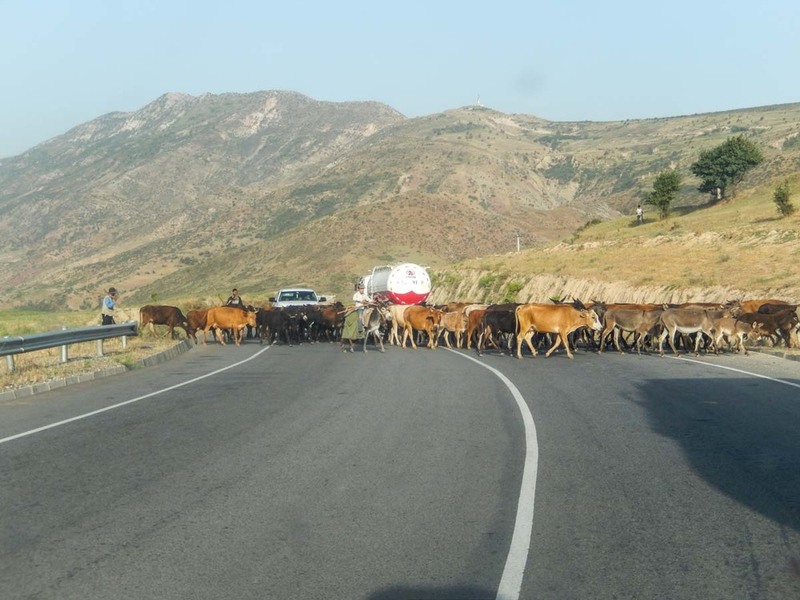 Another common site, mixed herds of cows, donkeys and goats (the roads aren’t usually this good however! ).